29-year old Calum Scott really warmed up Sandé’s crowd with his version of ‘Dancing On My Own’. The Britain’s Got Talent 2015 finalist also gave a preview of his upcoming single, ‘You Are The Reason’. His heartfelt voice was shown-off best to a simple piano accompaniment, and his performance was met by an extremely enthusiastic crowd, with the Hydro arena pretty much packed to the rafters. Emeli Sandé then began her set with ‘Hurts’. Dressed all in black, she made for a striking silhouette beside her prominently white-clad backing artists. 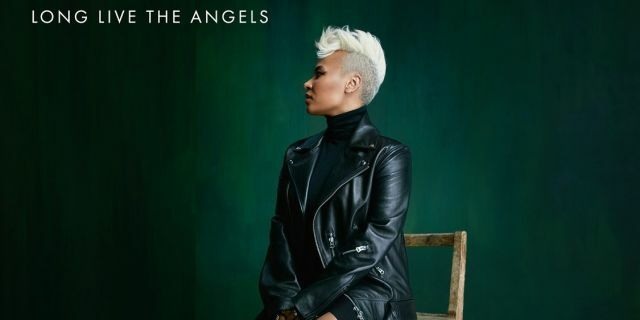 Despite her last show in Glasgow having taken place in the West End’s Oran Mor, Sandé was more than a match for her upgrade in venues – her soulful voice swept through the audience, extremely controlled and incredibly powerful, leaving us all in awe at her impressive vocal range. The singer-songwriter also showed us how far she’s come in her music, playing her very first single, ‘Heaven’. Midway through her set, Sandé played a Janis Joplin cover, ‘Piece of my Heart’, during which she allowed her remarkably talented backing artists to take centre stage. As they finished, she re-emerged onto a smaller stage in the middle of the arena for a more intimate setting – just her and a piano, taking it back to how she began her journey as a musician. Playing the instrument softly, she then performed an emotionally saturated ‘Clown’, later to be joined by an acoustic guitar. Sandé also took a moment to speak to her fans, stressing the importance of getting “loud with love” in the face of all the hurt the world is currently facing before busting out a moving performance of her hit ‘Read All About It’; this positive energy was maintained as she appeared back on the main stage for Naughty Boy’s track ‘Wonder’. Finishing with a spiritual ‘Next To Me’, the singer departed the stage to thunderous applause. Sadly, due to leaving straight away for her next stop on the Long Live the Angels tour in Newcastle, this Glasgow Uni graduate was unable to stop for a pint in Champs Bar to celebrate the night’s success.